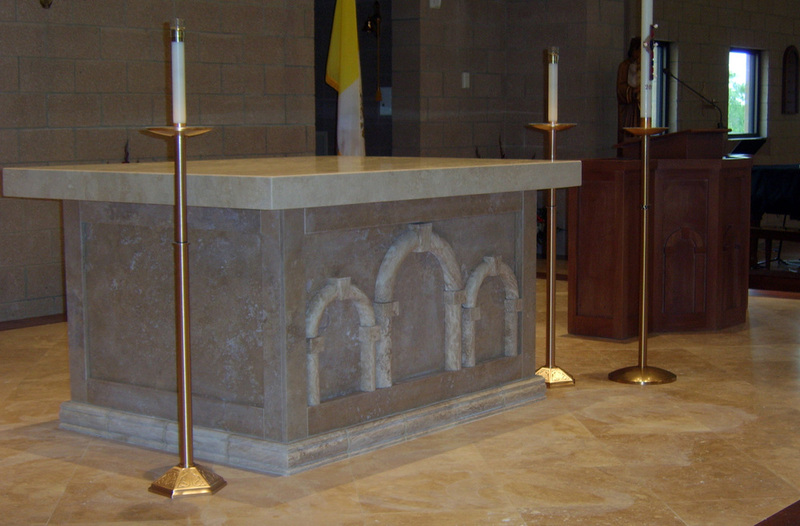 Tekton Woodworks designed and fabricated all the liturgical furnishings for the new St. James the Just Catholic Church in Ogden, Utah. 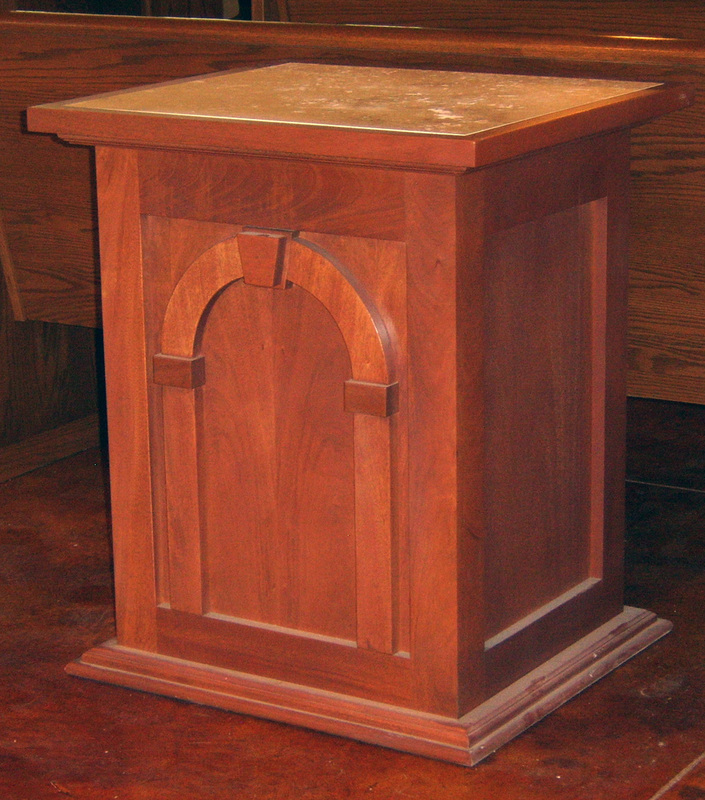 Materials included two types of travertine and mahogany. 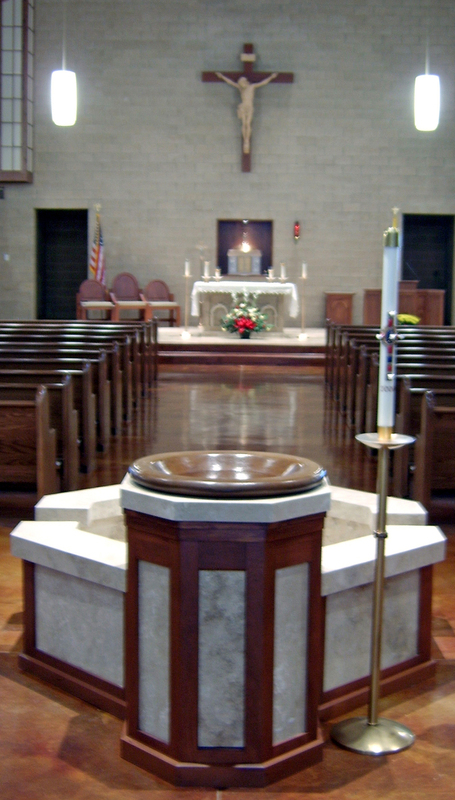 Pieces included an altar made of cream and dark travertine with carved arches on the front, a full sized mahogany ambo, presider's and deacons' chairs, a mahogany and travertine baptismal font with stained concrete upper basin, a full size sanctuary cross, and credence and gift tables made of mahogany with travertine tops.